The famous Spice Route at Imperial , New Delhi is holding a special ‘Summer Collection Menu’ till 31st July with the king of all summer ingredients, mango, as the inspiration. For the uninitiated, the Spice Route has been designed to reflect the journey of spices from the Malabar Coast in Kerala through Sri Lanka, Malaysia, and Indonesia to Thailand and Vietnam. 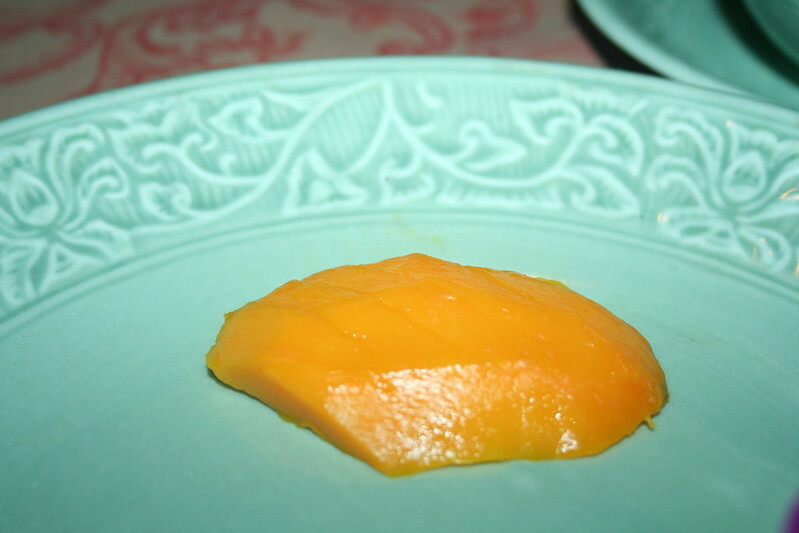 It is extremely interesting to note how Chef Veena Arora has managed to transcend regions with her food all this while and now with a common ingredient (mango) thrown among the midst too. 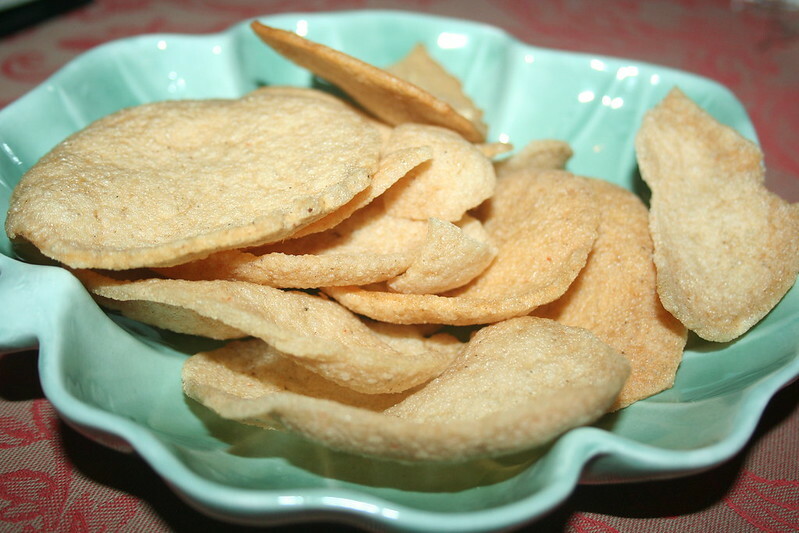 The menu is divided into soups, appetisers, main course and desserts to go with the summer theme. 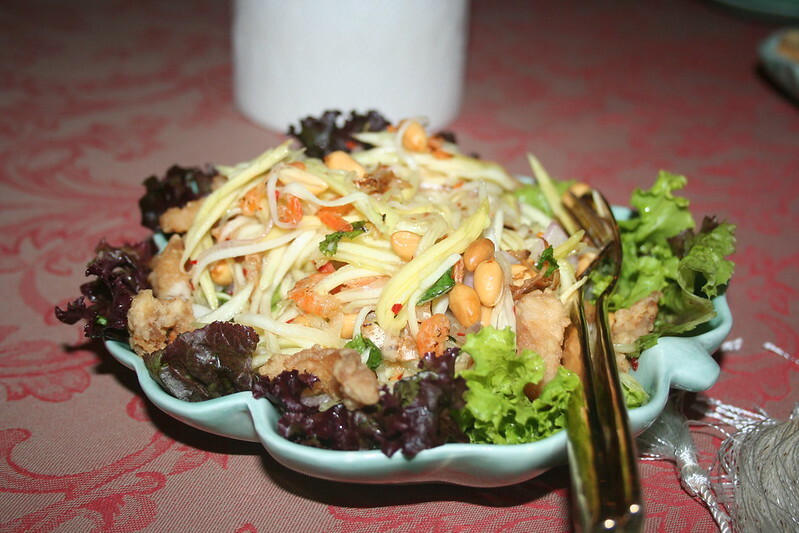 Our lunch began with a couple of fabulous salads, YUM MAMUANG PLA KROB and YUM WOON SEN MAMUANG. 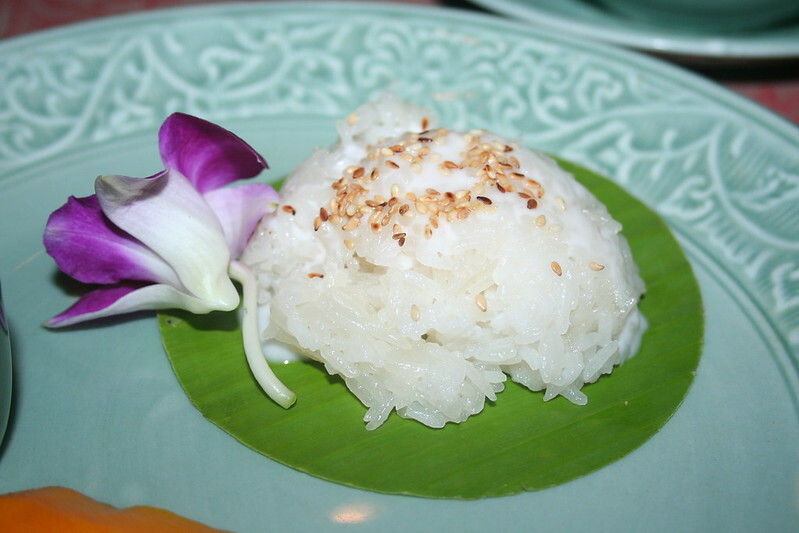 Yum mamuang pla krob was simple, fresh and decidedly summery in taste and that Thai dressing was the bomb. The salads here proved once again that Thai salad preparations are a class apart. 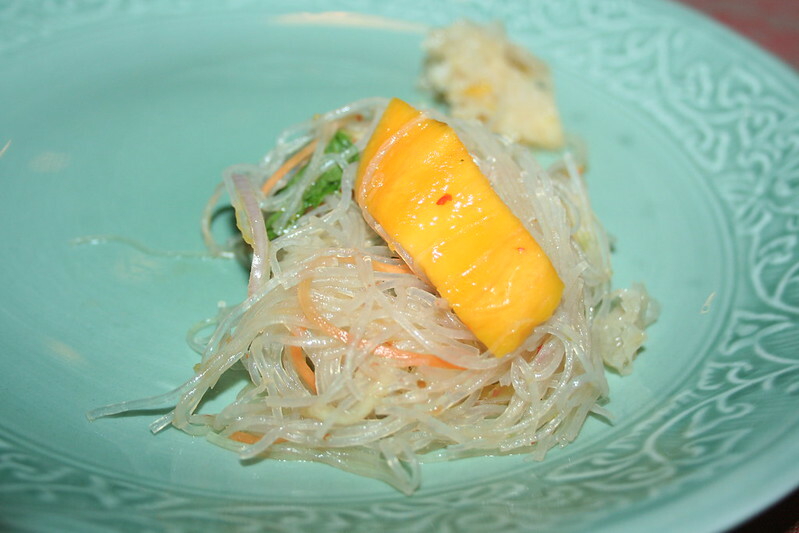 The Yum Woon salad was made with glass noodles and had peanuts and ripe and raw mango in equal measure. 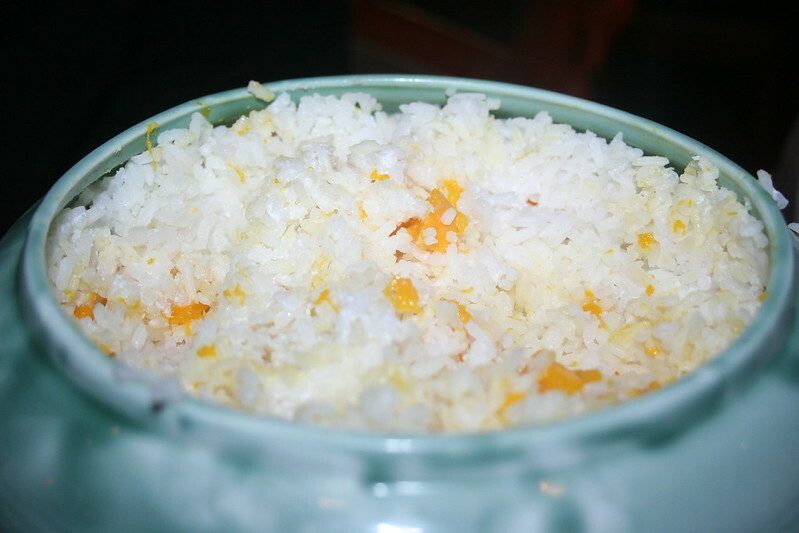 This salad had everything – the sweetness of ripe mangoes, crunch of the inions, the freshness that mint brings with it and the sour notes of the raw mango. Fantastic salad, this. We had the wonderfully subtle manager rassam as our appetiser. 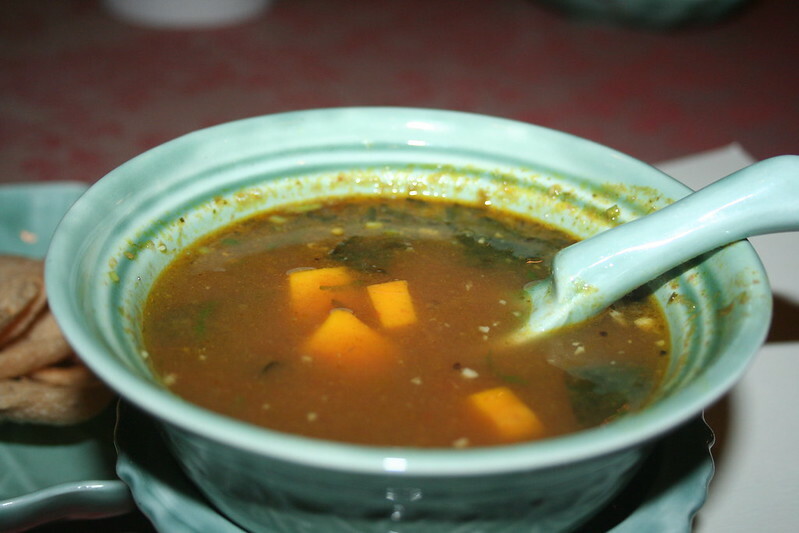 Again, the balance of flavours were the work of a masterful chef and the topping of fresh, ripe mangoes balanced the spicy undertones of the rasam. The main course had some outstanding dishes. 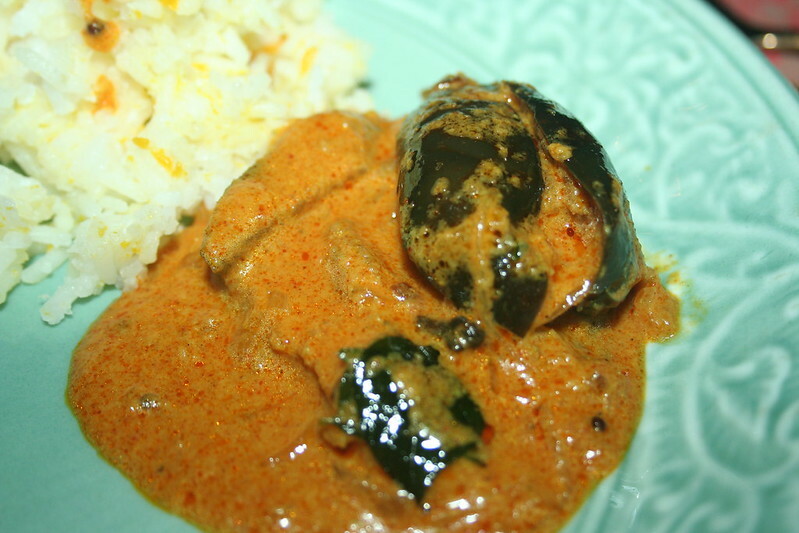 My favourite was MAAMBALAM KATRIKAI, a baby eggplant curry made with raw mango, cashew paste and water chestnuts. 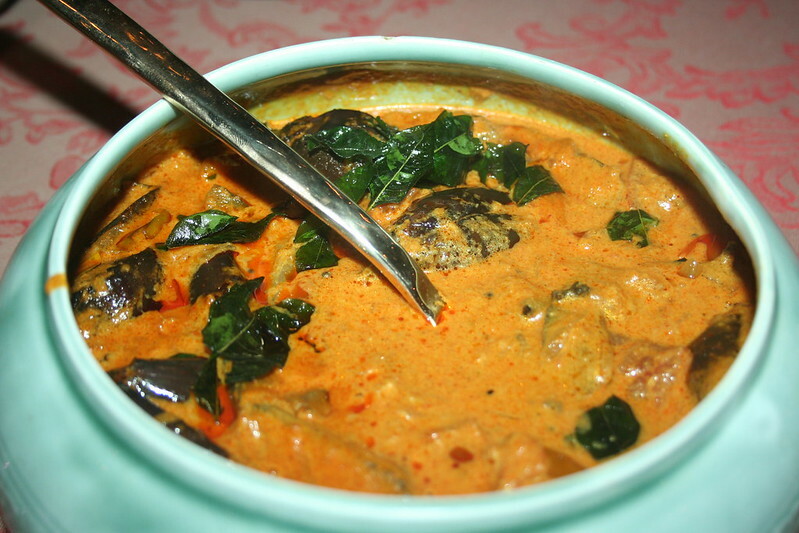 Luscious curry laced with superb flavours, this will be a food lovers delight. 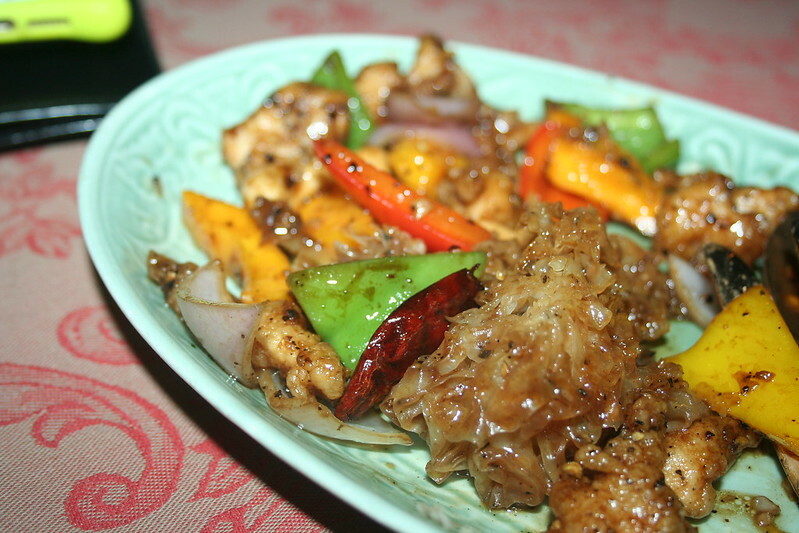 I loved the Vietnamese Styke Stir Fried Chicken too (GA XAO HOT DIEU) mainly because of it use of ripe mangoes cooked in pepper and few other spices. 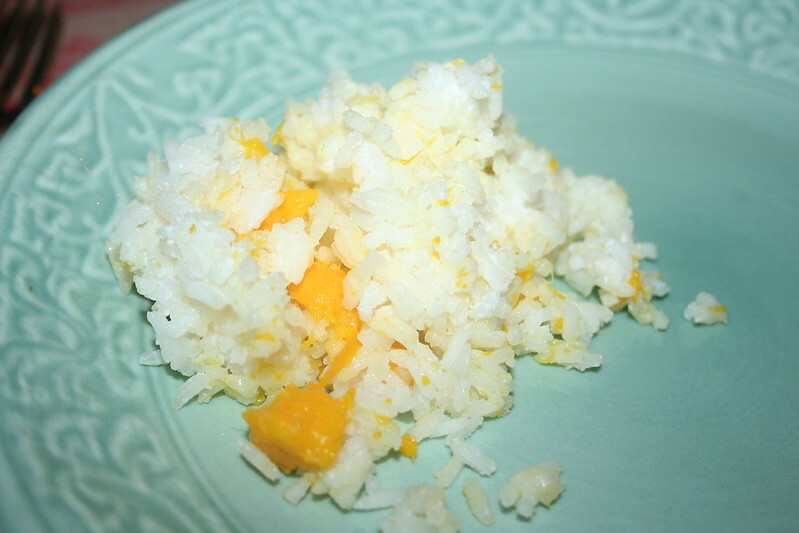 The ripe mangoes complimented the stir fry very well I thought. 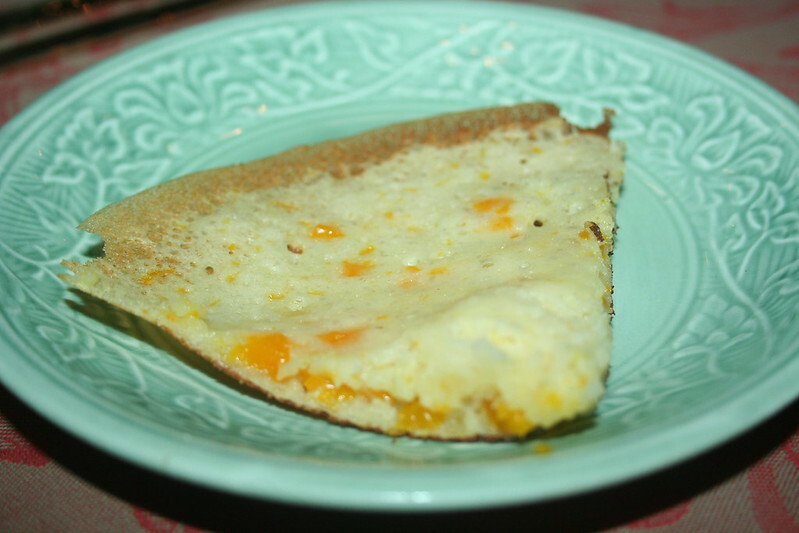 The universal favourite were the mango appams called the mammal appams, that had a mango-ey centre and were tart in the best possible way. 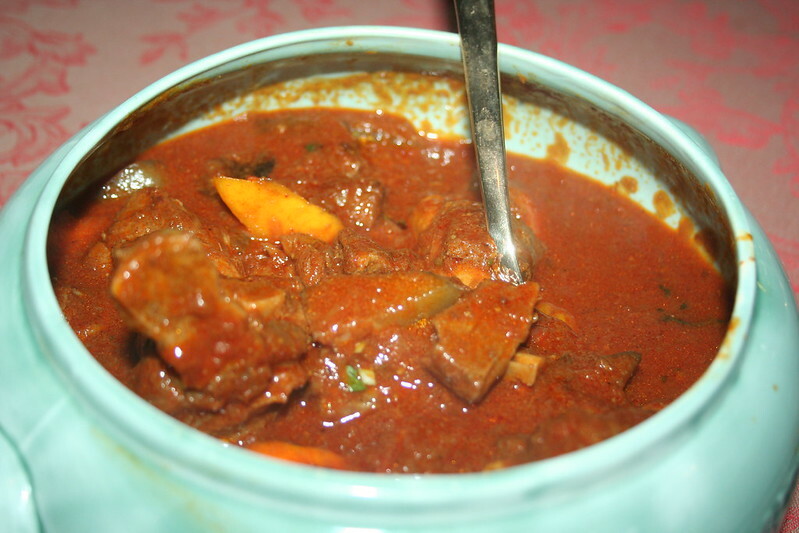 Another recommendation is the Keralan irate mutton curry that is cooked with in raw mangoes and delicious to taste. 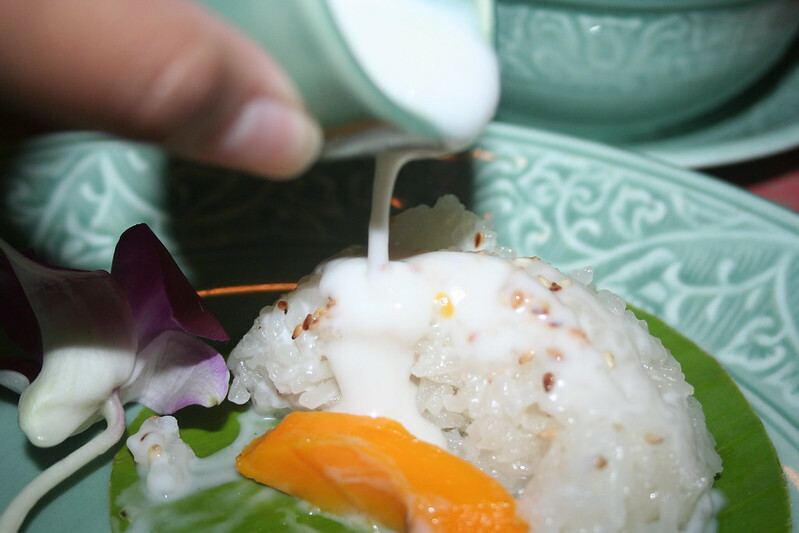 For our dessert, the Chef went back to her Thai roots with a special preparation KHAO NEOW MAMUANG , which is essentially sticky rice served with ripe mangoes and garnished with sesame seeds. 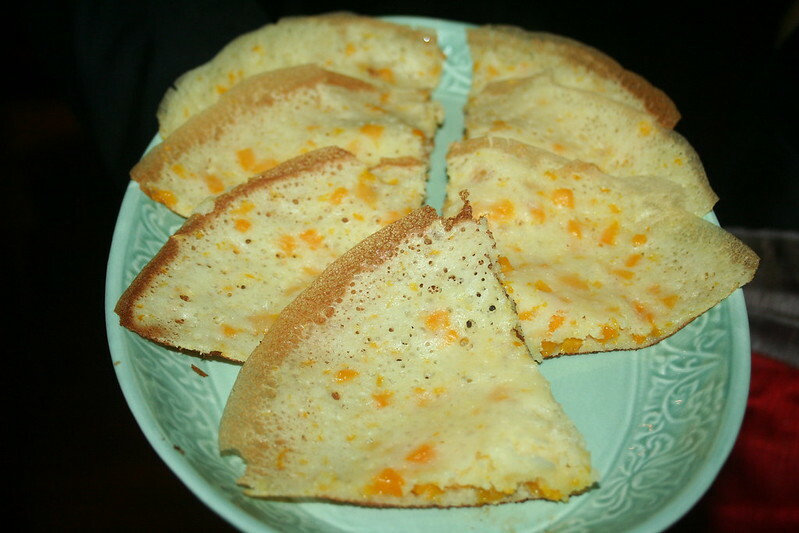 It is delicious and sticky and the rice flour thickened count milk brings the whole dessert together. 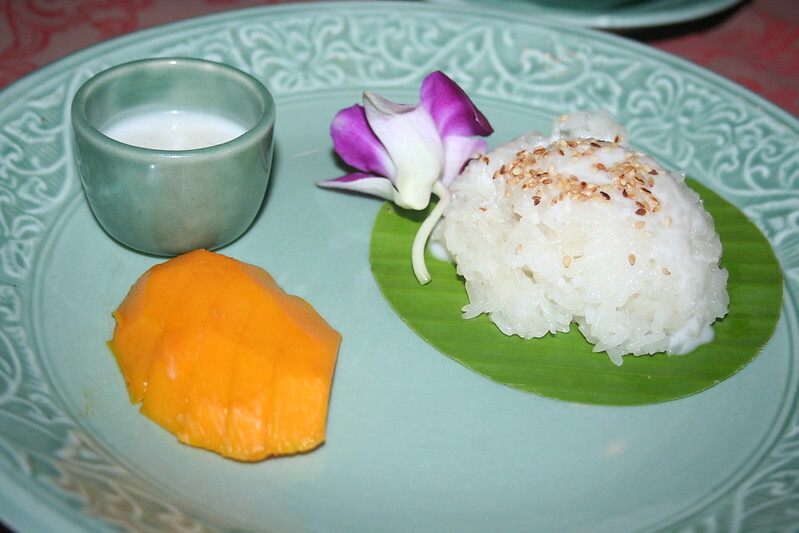 This is also special as the mangoes used here are Aplhonso and well who wouldn’t want to end their meal with that!